When I was diagnosed, I was taught the basics of carbohydrate (carb) counting. The nurses showed my family and I how to read nutrition labels to find the serving size and amount of carbs. 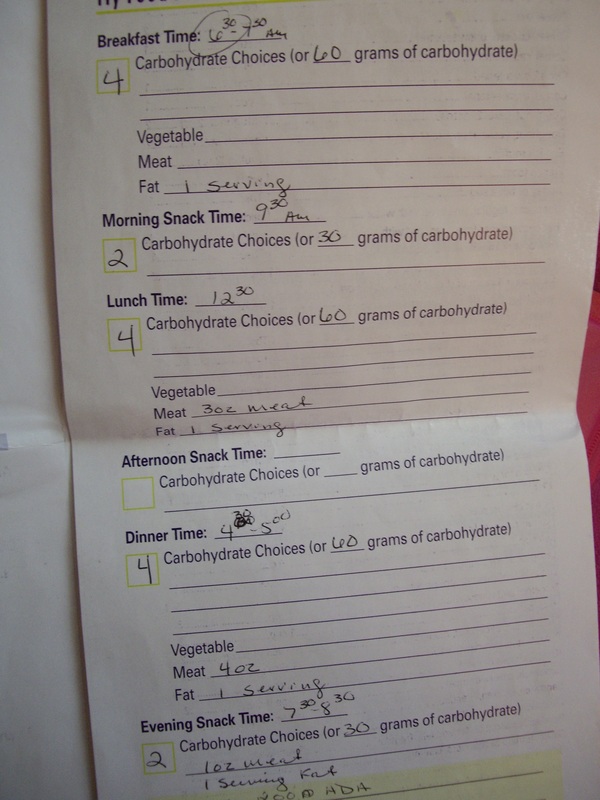 I also saw a dietitian who created a food plan for me. I was supposed to eat a certain amount of carbs for meals and snacks at specific times of the day. I also needed to have a certain amount of fat and meat servings. I was given multiple pamphlets about food exchanges, serving sizes, and nutrition facts. It was all so new and very overwhelming. After discharge from the hospital, I tried my best to stick to the food plan. It was so difficult. For starters, I am a very picky eater, so finding a variety of foods that exchanged for the meats and fats I needed was challenging. I was in 8th grade so eating a snack at 9:30 am was a pain because I had to miss part of class to go to the nurse’s office to take insulin. Eating 60 carbs at a meal wasn’t enough, and I would be starving by the next meal. After discussing it with my doctor, we changed my meal carb goal to 75 and allowed more leniency in meal times. I will admit that I don’t have the most nutritious diet. I love pizza and pastas and will always splurge for my biggest weakness, a cinnamon roll. I don’t do the food exchanges or eat a certain amount of carbs per meal. I eat meals whenever I want. This isn’t to say that I don’t find the food plan and the dietitian’s recommendations valuable. I do and think it would be beneficial for people who can stick to it. It just wasn’t right for me. I do limit the amount of sugary sweets and high carb foods that I eat and watch my portion sizes of all foods. My latest A1C result was 7.2%, the lowest it has ever been, so I must be doing something right!